Welcome to L & K Recovery, LLC. L & K Recovery is a full service repossession/recovery company, offering our clients unsurpassed service. Let our vast experience in collateral recovery, repossession, transport, skip tracing and investigations help you complete your next assignment. For over 14 years we have been delivering the foremost recovery services to the greater Washington DC metropolitan area which also includes the states of Maryland and Virginia. With over 14 years experience, we have worked with numerous banks, credit unions, financial institutions, dealers and various other lending organizations. L & K Recovery is not only the best choice, we are the right choice. L & K Recovery, LLC is a fully insured company and can proudly provide countless references upon request. We have employed a state of the art inter-active communications system through our Global Positioning System (GPS)/Digital provider. At L & K Recovery, LLC we are firmly committed to earning your business. We pride ourselves on having and employing a clean fleet of recovery vehicles/equipment. We offer quick response times, professional-courteous staff/drivers and reasonable pricing. Please take a moment to browse our website to learn more about our company and what we can do for you. 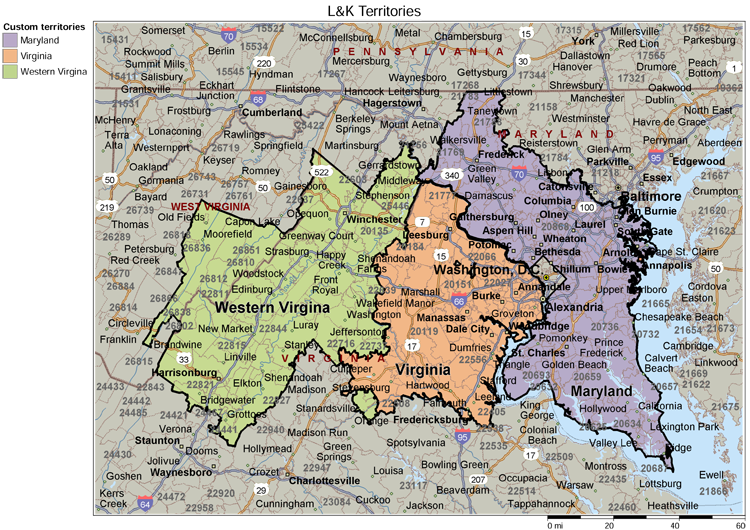 L & K Recovery provides coverage to the greater Washington DC metropolitan area, which also includes the states of Maryland and Virginia. If you have a question about a specific area, please feel free to contact us.